1804: Fr. Bertoni preached on freedom from sin and the devil ? he stated that man is made to God?s image, and the devil will try to destroy this image. The devil becomes the tyrant of the human heart and degrades the soul. 1856: John B. Marchesini entered the Congregation ? he later left, married and had a son, Louis, who would one day contest his uncle?s will ? this was the Stigmatine, Fr. 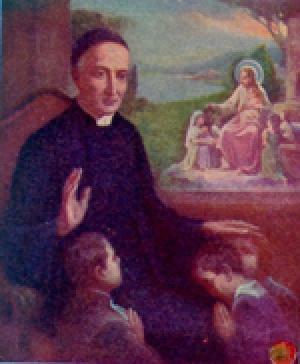 Joseph Marchesini, brother of John B., who had made Fr. Stephen Rosa his heir. The Marchesini family was very well to do. 1867: Fr. Lenotti preached only one sermon today for the young students on Retreat, so that the rest of the day could be left free for Confessions.